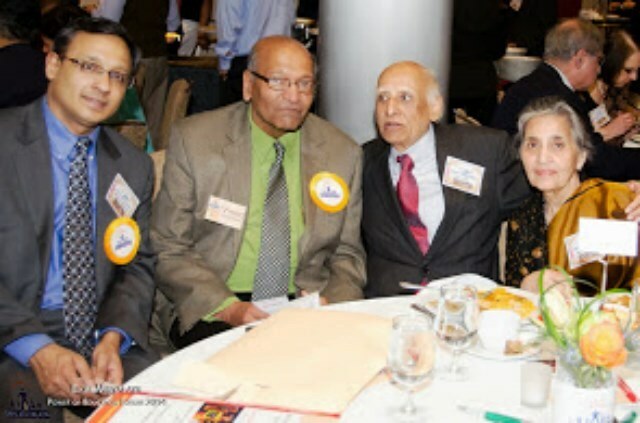 “Ekal Vidyalaya Foundation” (EVF-USA), an organization that brings education to millions of underprivileged children in remote rural & tribal parts of India, recently hosted a “Power of Education Forum” at the Hyatt Regency in Cambridge, MA. It brought academicians, entrepreneurs, community leaders of stellar credentials together, to explore various avenues under “Ekal” to empower neglected millions through state-of-the Art technology and techniques. Ranjani Saigal, the Executive Director and Vinod Jhunjhunwala, President of EVF-USA made introductory remarks about the organization, its objectives and its recent accomplishments. 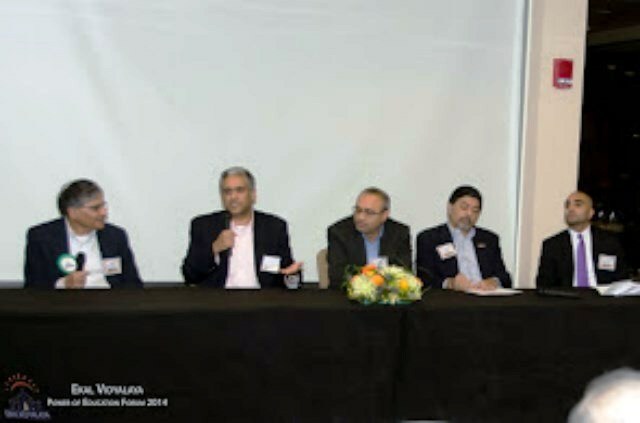 There was a panel discussion titled “Ekal in the 21st Century – New Opportunities.” The participants were Dr. Subra Dravida, of Qualcomm, Dr. Anantha Chandrakasan, MIT, Dr. Sanjay Sarma, MIT. Dr. Raj Sisodia, of the Conscious Capitalism movement and professor at Babson College touched upon the impact of entrepreneurship on development. Dr. Ranu Dhillon, Harvard Medical School known for the work of health care in Africa and rural India also spoke. Overall, the sessions were interactive covering the challenges and opportunities to elevate the underprivileged. 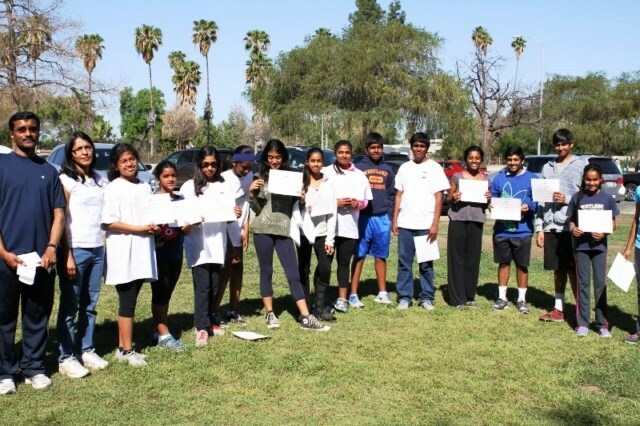 Ekal Vidyalaya Foundation’s North LA & Tri-Valley Chapter held its Third Annual ‘Literacy Walk’ (Walk /Jog-a-thon event) at Woodley Park, 6350 Woodley Avenue, Encino, CA on Sunday, March 16, 2014. The Literacy Walk attracted a record crowd of over 200 people; this was a more than threefold increase in participation from previous years. The ‘Literacy Walk’ will benefit the children of rural villages of India through Ekal Vidyalayas. It only takes $365 to run an Ekal – sponsored school for an entire year ($1/Day). The ‘Literacy Walk’ also incorporated learning into its trail; posters, signs, and stations on the track informed participants about what the organization’s efforts to remove illiteracy from rural and tribal villages. 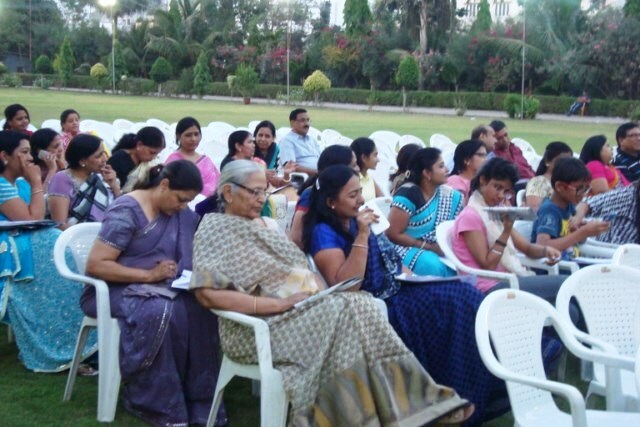 The participants were appreciative of over 56,000 Ekal schools running in as many villages. Ekal currently educates over 1.5 million children. 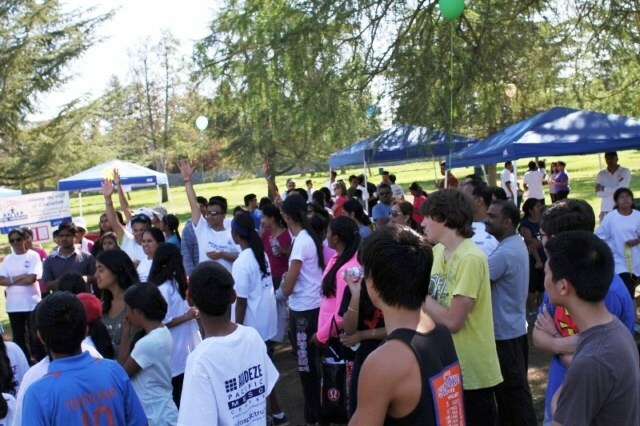 Notably, most of the planning for the walk/jog was done by the youth volunteers. 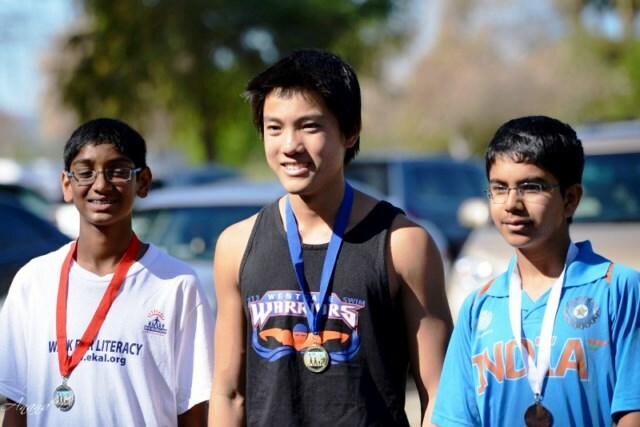 The event concluded with an award ceremony for the top three performers on the jog/quiz event were recognized. Team trophies were also presented. 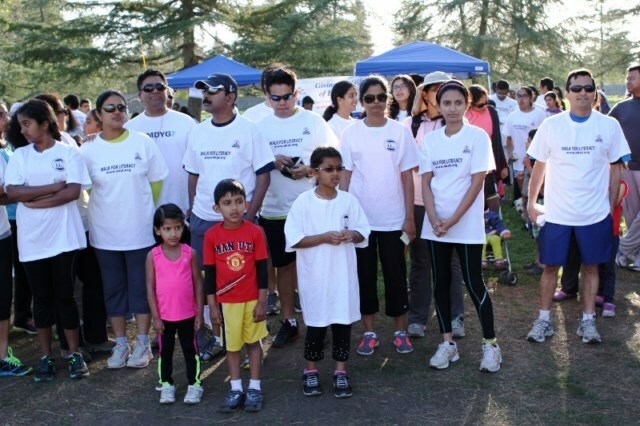 “This is our third season hosting this walkathon and the event this year has raised enough funds to support more than 10 Ekal schools” said Suresh Iyer, President of the North LA & Tri-Valley Ekal Chapter. Sri Mohan Bhagwat, Rashtriya Swayamsevak Sangh (RSS) Chief said that one should not get diverted or influenced by others while moving towards one’s goal but should follow the path leading towards it, without getting influenced by others or doing work in reaction. 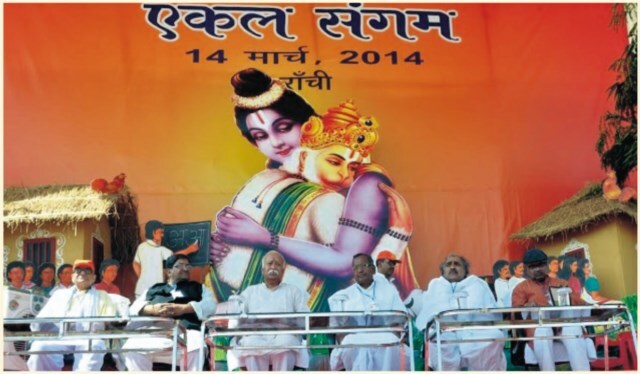 Sri Bhagwat was addressing a huge gathering ‘Ekal Sangam’ organized at Birsa Munda Football stadium to celebrate the Silver Jubilee year of Ekal movement in Jharkhand. Vikas Bharti chief Ashok Bhagat presided over the function. He also added that the goal of making India the world leader could not be thought of until the 30 crore villagers and tribal people do not get empowered which is being made possible through Ekal movement. 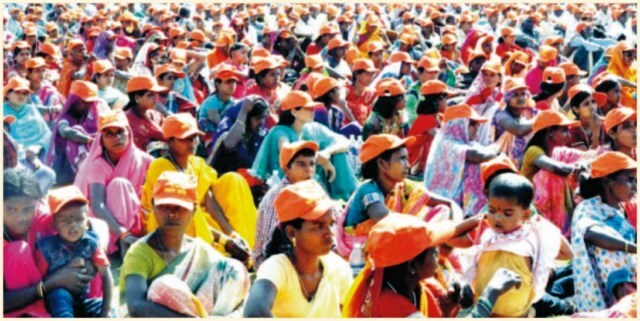 Hundreds of volunteers of at least five thousand villages of Ranchi and adjoining districts gathered here to mark the completion of 25 years of Ekal movement in Jharkhand. Encouraging development of the villages, generating self esteem among them along with providing medical assistance and cultural development are the fields where Ekal movement is working for. Addressing the gathering at Morhabadi, Sri Shyamji Gupt said that they aspire to establish one lakh Ekal Vidyalaya across the country. Social activist Sri Ashok Bhagat also said that Ekal Vidyalaya have made the villagers self dependent in the State while keeping their culture and traditions intact with them. 10 volunteers who have made important contribution in the State were felicitated. 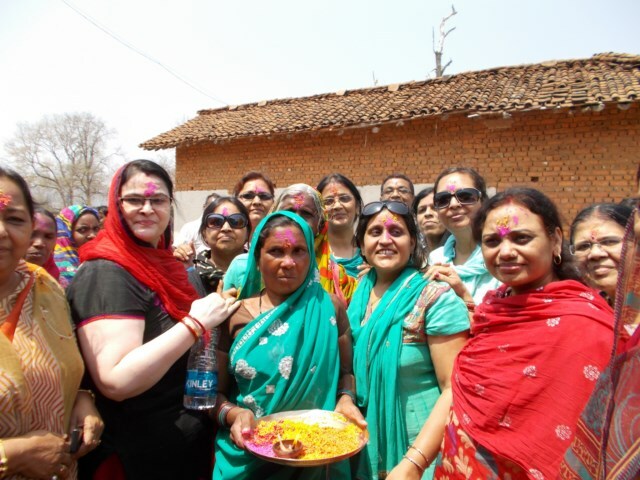 FTS Raipur chapter Mahila Samethi conducted the Holi Milan on 21 March 2014. The event was marked by lighting lamps, folk songs, dance and games followed by feast. 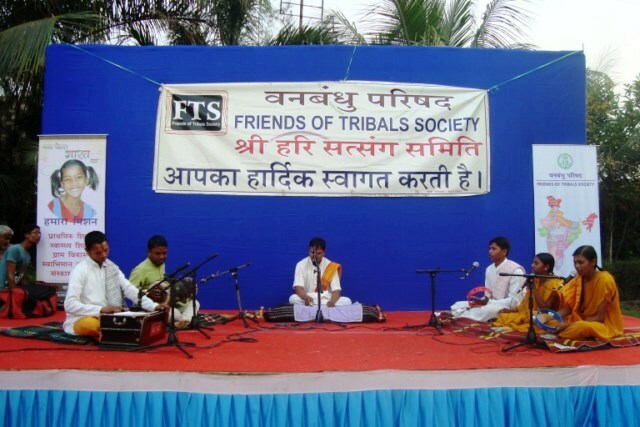 FTS and Sri Hari Satsang Samethi organized Sneh Milan on 6 April 2014 in Surat to promote education and culture to Country’s adivasi community. Ramcharitra Manas, Antakshari were part of the program. About 80 men, women and children participated in this program. 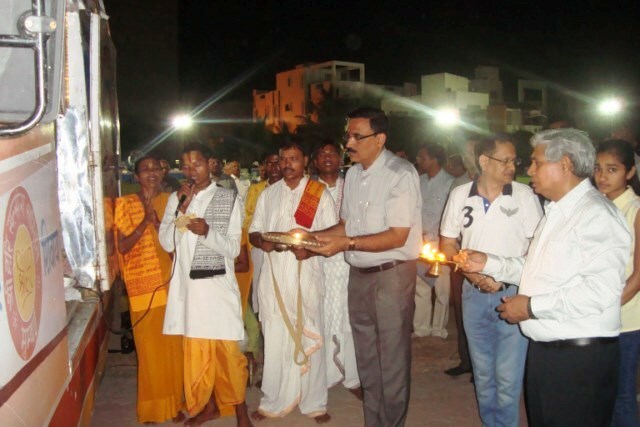 Sri Mahesh Kumar Mittal and Sri Ramesh Agrawal organized the program. With her skills she is developing good character in people. There is a vast change in the Rukmani of then and now. With her skills she not only created a name for herself but also have become more confident and self believing. She has set an example of how ladies from rural villages can live a happy life without going to city. 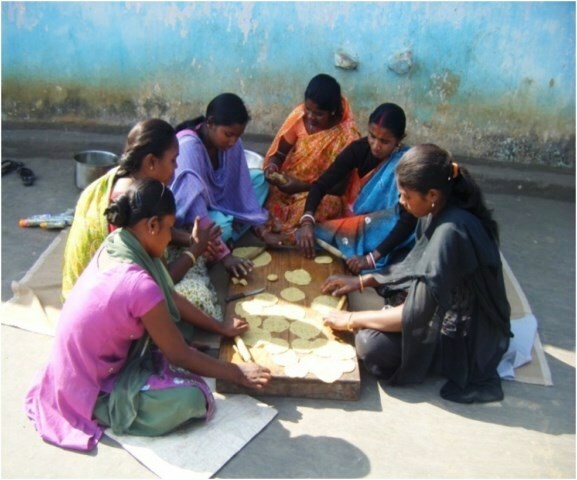 Rukmani Prajapathi in 2011 got internship in cutting and stitching in Ekal Abhiyan’s Bisra Seva Sanstan – Karanjo, West Senhabhum, Jaharkhand and started stitching frocks, salvar suits, blouse, petticoat and baby frock in different designs and in new fashion which the villagers like most. She proudly says, ‘Now myself or other ladies in our village don’t have to go to city in search of livelihood, for clothes of ladies or to learn stitching, we have all the facility in our village itself.’ This 22 years old Young lady from Karaikela village is doing her graduation in J.N.L. College, Chakradharpur. She earns approximately 2000/- to 2500/- every month by stitching cloths. She pays her college fee from her earnings and helps her house with the balance. The death of her father and financial problems compelled Rukmani to earn. 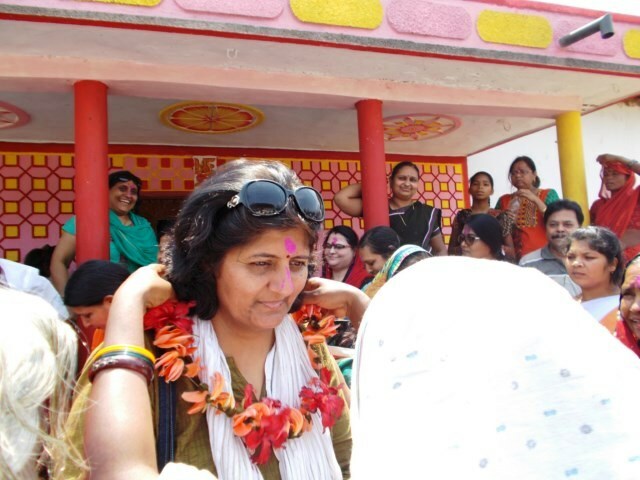 She went to Ekal Abhiyan’s Bisra Seva Sansthan to learn tailoring and then she had never looked back. All her dreams are fulfilled, she joined school. Passed with good marks, joined college and now doing her BA first year. This is not an isolated story; we have many sisters who have gratitude and love for Ekal. 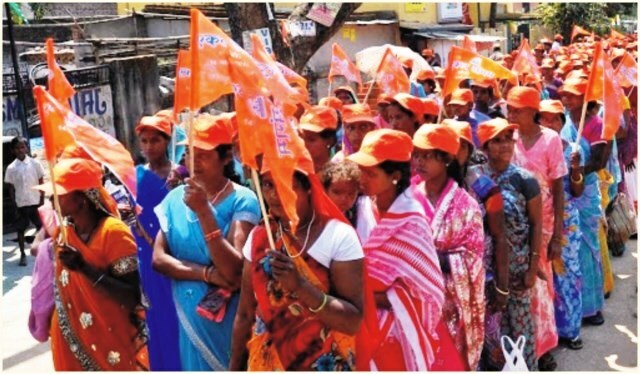 Ekal abhiyan has become a pillar of strength for many. Shilpa Mishra who did her internship from Ekal abhiyan’s Bersa Seva Sanstan has joined as a trainer. 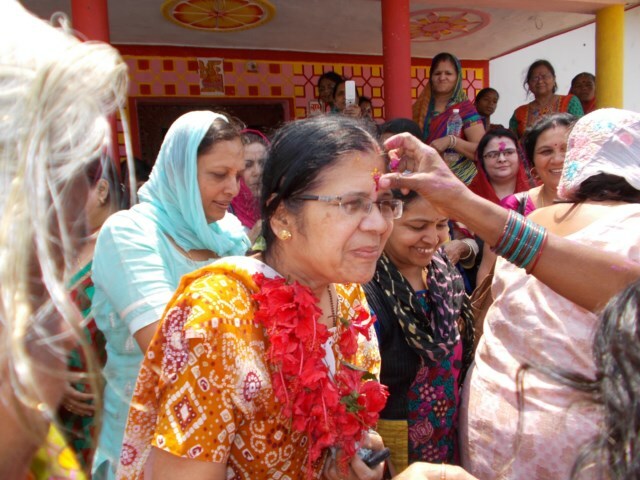 She said that this Kendra is running for the last 5 years and till now about 150 ladies have taken internship from this institution and have become self-sufficient and living happily. Other than tailoring, making papped has also become a profitable proposition. Arogya Foundation of India is a member in Ekal Family which looks after Integrated and overall health-care activity. The Foundation works with a strong objective of creating awareness / education in healthcare activities and also provision of treatment and works for the overall development of the villages and the villagers. 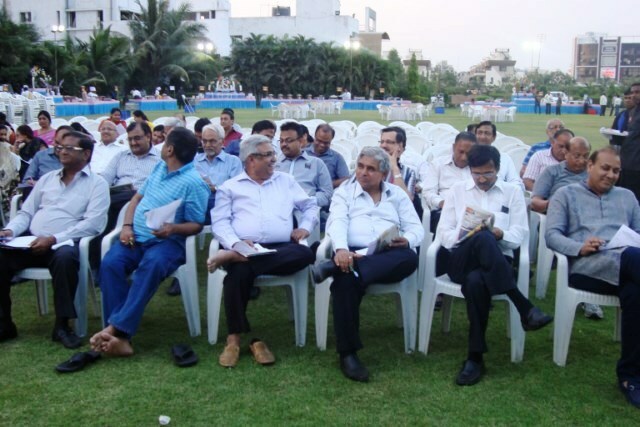 The Board members of the Trust, including Chairman Sri. P.R.Krishnakumar, President Dr.B.K. Agarawal, Secretary Dr S.Surendra Gupta, Treasurer Sri. 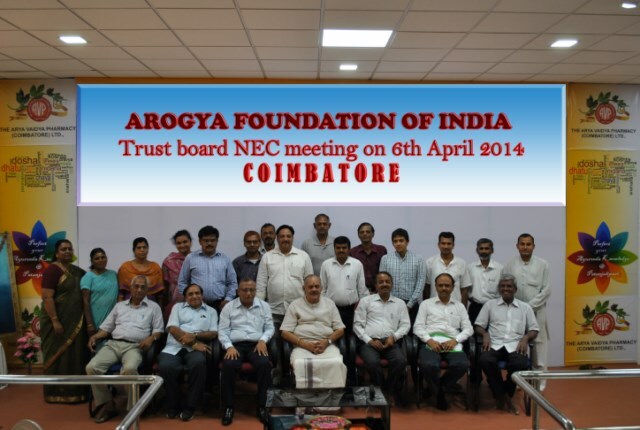 Pavan Kumar and others of Arogya Foundation of India met at AVP Ayurvedic Hospital and Academy at Mangarai, Coimbatore on 6th of April 2014 for their Annual Trust Board/NEC meeting. The meeting at Patanjali Mountains started with the introductory address by National Coordinator Dr. Mukul Bhatiya. Secretary Sri S.S. Gupta presented the annual report. The website of the foundation www.arogyafoundationekal.org was launched by Sri. Krishnakumar. Sri. Shreegopal Maheswary , President of FTS Coimbatore Chapter graced the occasion. 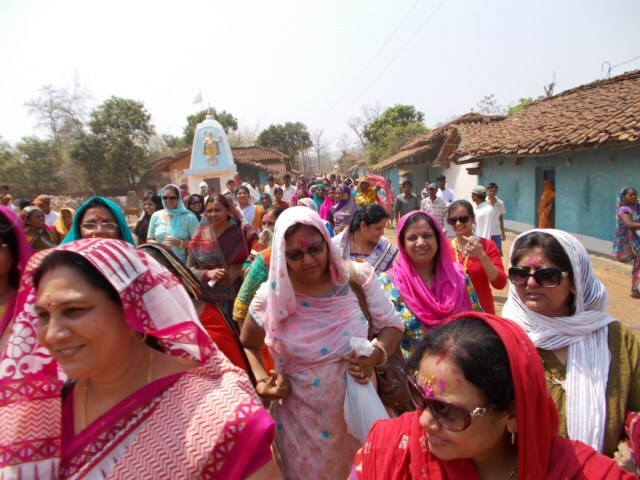 Vanbandhu Parashid Raipur Chapter Mahila Samethi organized Vanayatra on 30 March 2014 had 30 members. They visited Karakursi Sanch’s Villages of Ekal Vidyalaya and conducted Sankranthi Samman program. The members and others were honored. 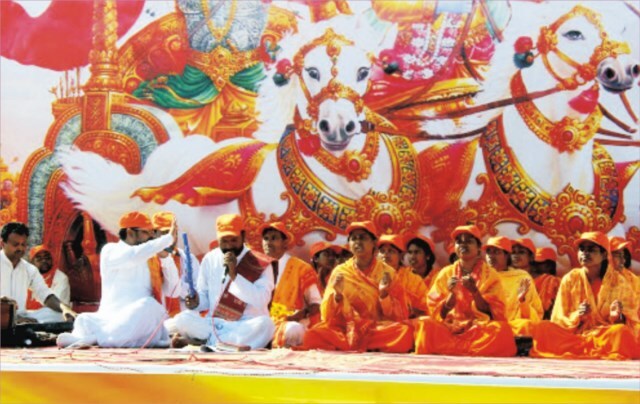 ‘The Vanayatris were immensely pleased with the yatra and the program’ says Smt. Anitha Khandelwal, the organizer.